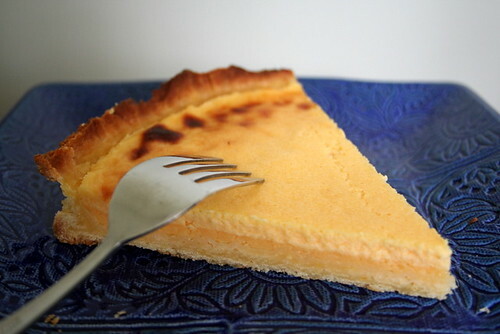 We had some friends over for dinner on Saturday and I decided to make one of my favourite desserts, Lemon Tart. Recipe here. I really like this version because the pastry has lemon rind in it, meaning you get an extra lemon hit from the crust as well as the filling. I served it with Raspberry and White Chocolate Kapiti ice-cream which is very sweet and goes well with the slightly sour citrus. Yum! it looks so yummy. like the plate too. Yum, this looks delicious. Am going to add this to my list of things to make!